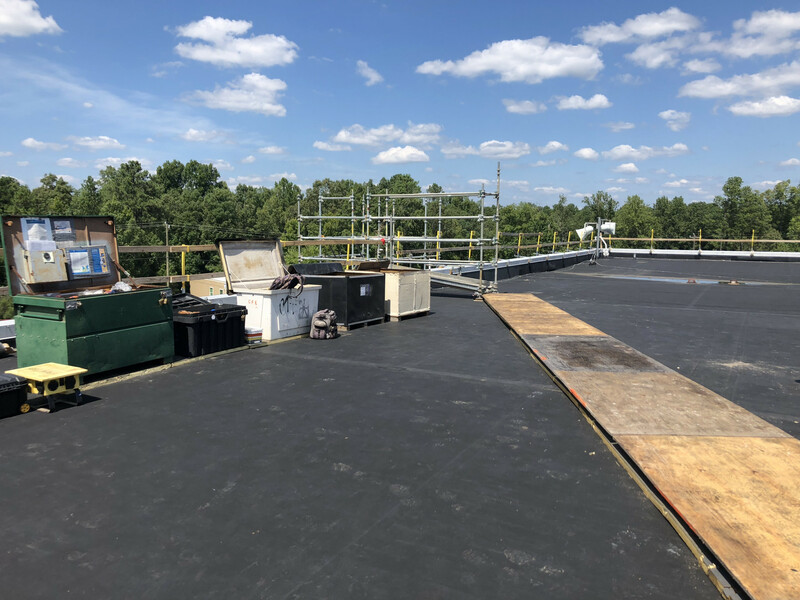 Biogen Buildings 20, 21, & 23 - Evans Roofing Company, Inc.Evans Roofing Company, Inc.
General Contractor: Atlas Engineering, Inc.
Project Info: Tear off EPDM / Modified Bitumen roof systems to steel roof deck on seven different roof areas and elevations. 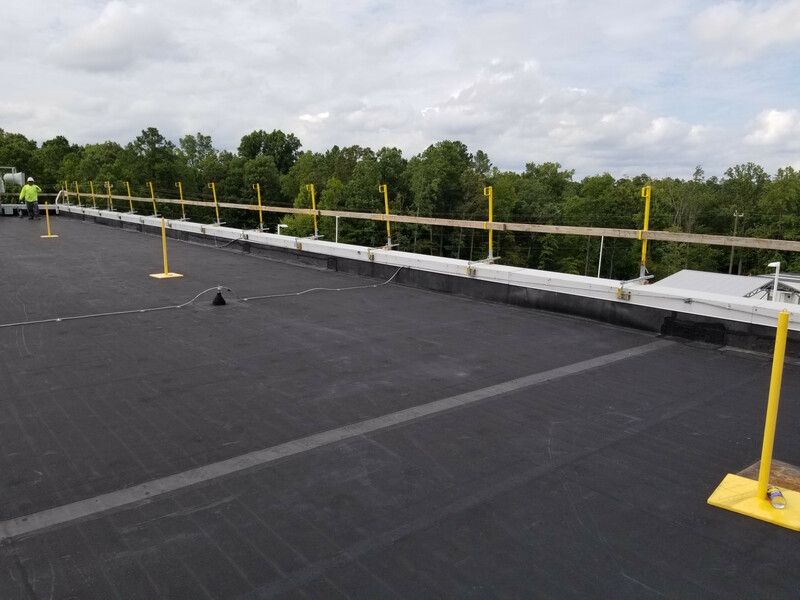 Install an OSHA accepted motion-stopping system at the perimeter of the entire area to be re-roofed. 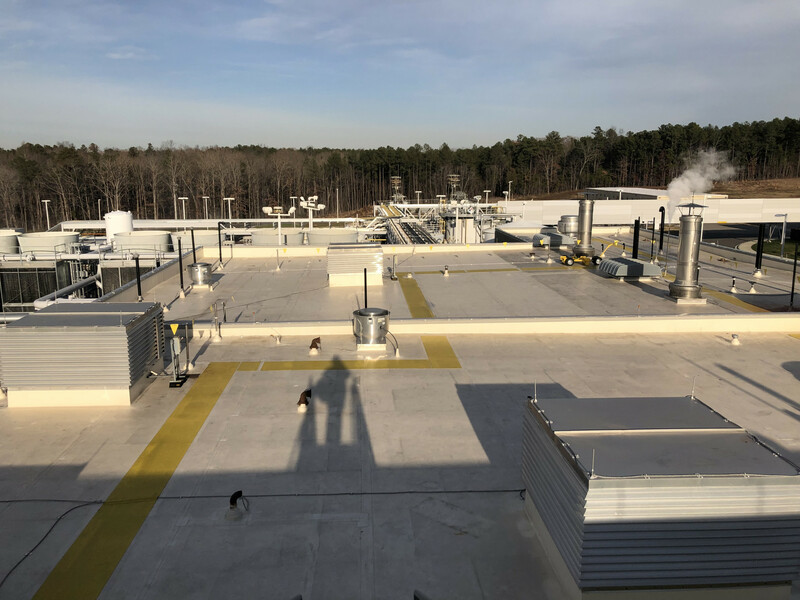 All safety systems to comply with all Biogen requirements. Erect scaffolding to protect perimeter of building per specification. 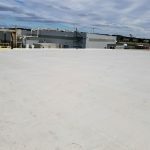 Load materials in accordance with Biogen requirements. 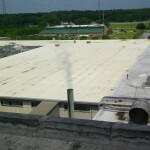 Provide all power required for roofing operations. 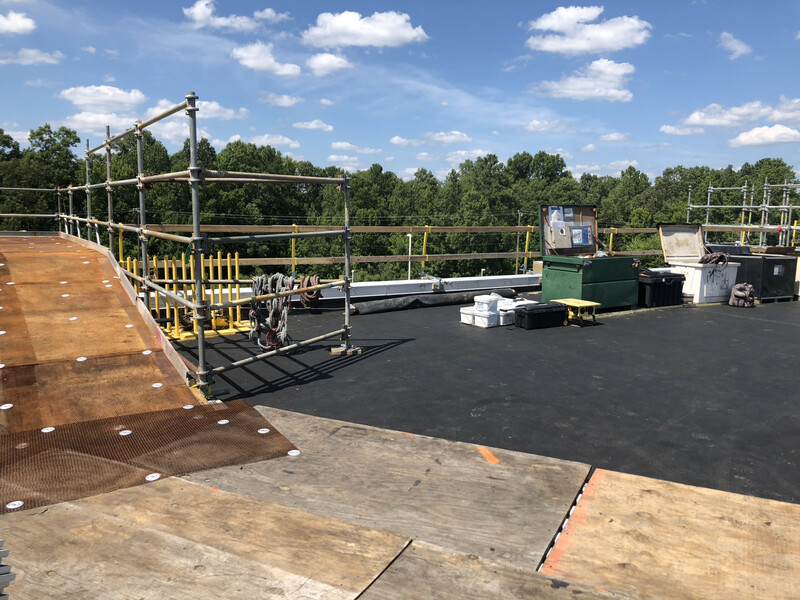 Provide exterior scaffolding stair towers to provide access to work areas and secondary emergency ingress/egress. 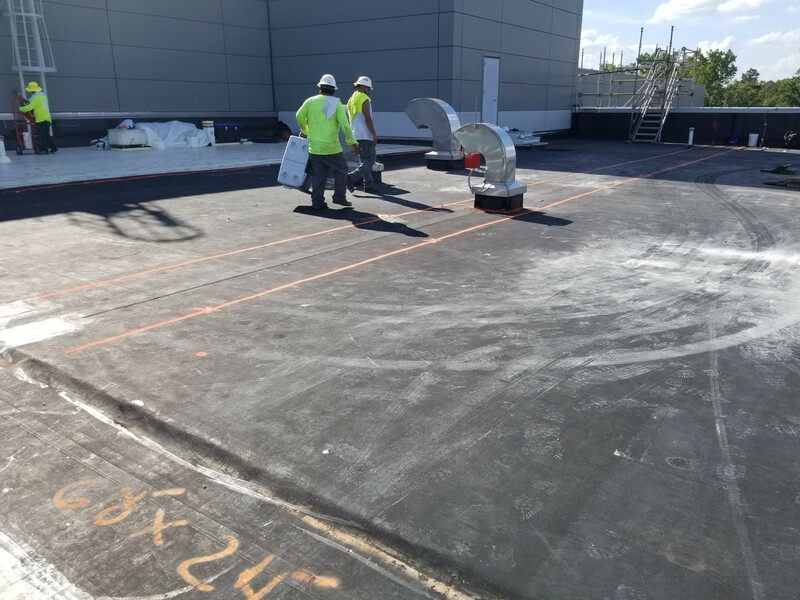 Cover air intakes with specified secondary filter system prior to commencement of work Remove the existing roofing system to the existing metal deck and properly dispose of all materials off site. 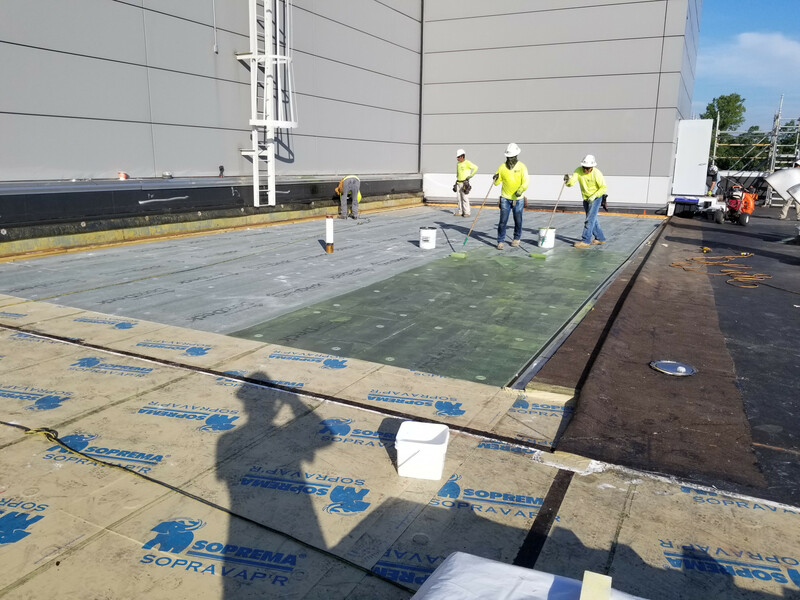 Mechanically attach specified 5/8” thermal barrier to the prepared roof deck. 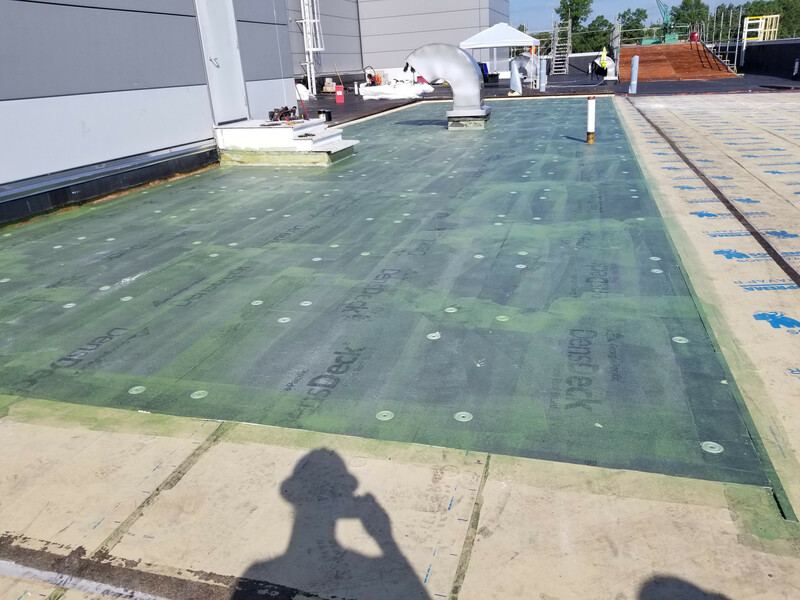 Prime thermal barrier and install a fully adhered modified bituminous vapor retarder to the thermal barrier. 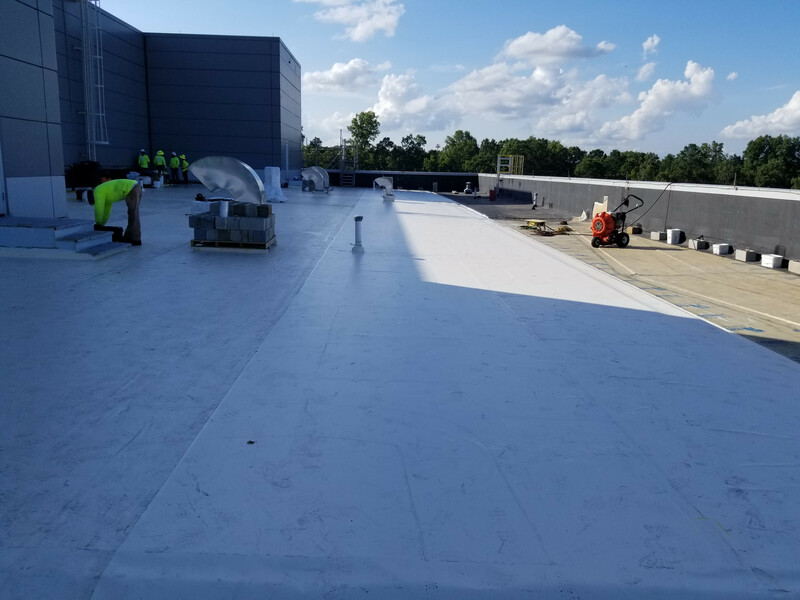 Mechanically attach 2 layers 2” polyisocyanurate insulation over the vapor retarder. Mechanically tapered insulation crickets and drain sumps as shown on drawings. 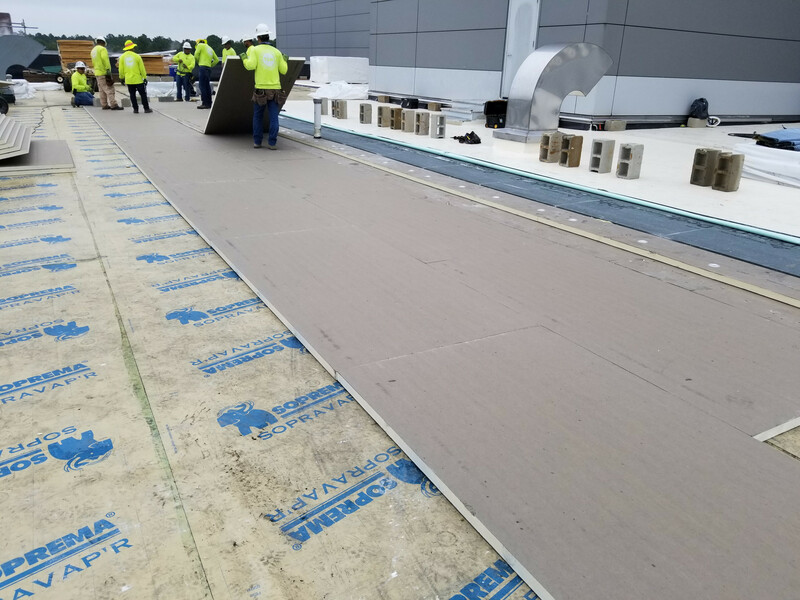 Fully adhere specified ½” coverboard over the insulation. 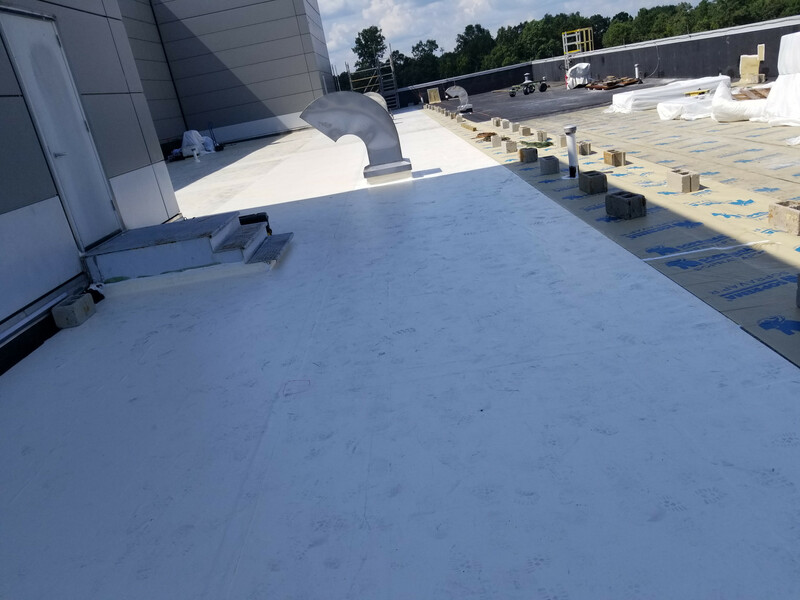 Install a fully adhered Fibertite roofing system over the coverboard. Provide an interior fire watch during all welding activities. 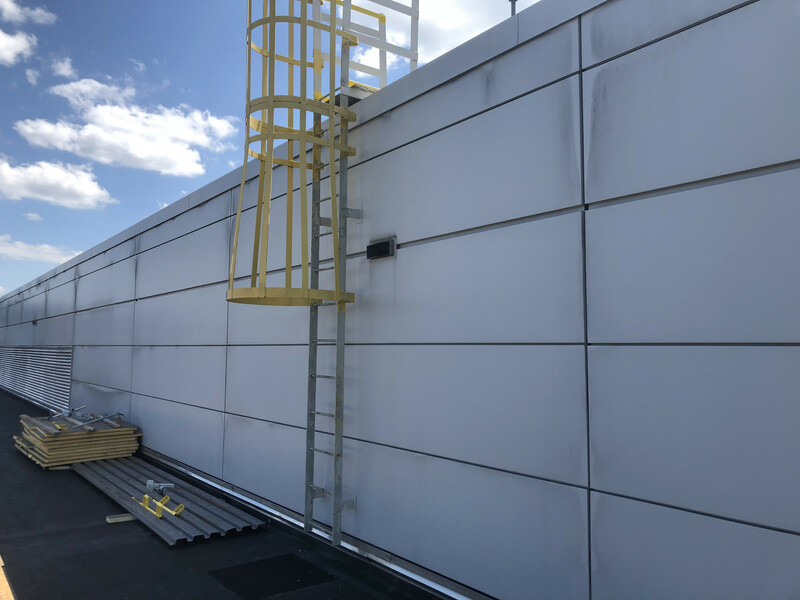 At walls and penetrations, inspect existing wood blocking, replace where deteriorated (per allowance and unit prices) and ensure proper fastening. 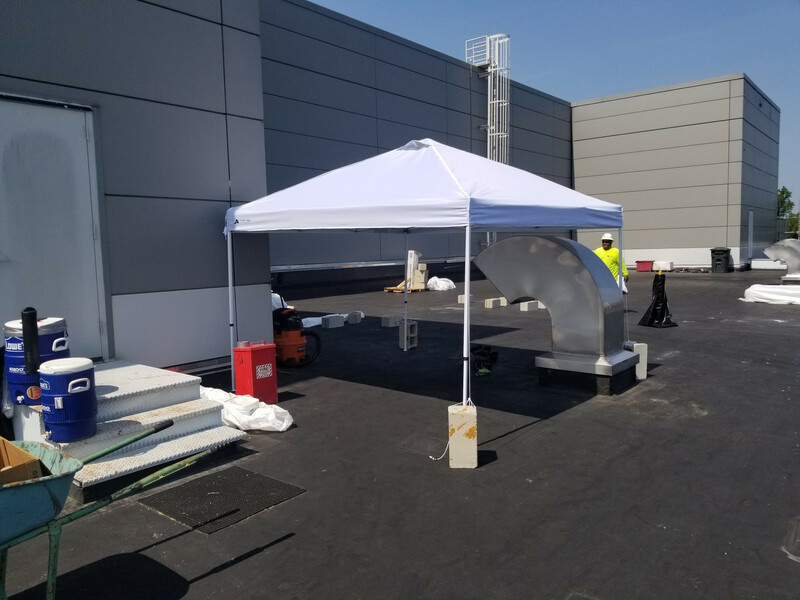 Enlarge existing scupper openings. Flash all walls per specifications and drawings. 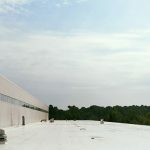 Install prefinished sheet metal and membrane coated sheet metal as shown on drawings Repair existing sheet metal joints at area A per specification. 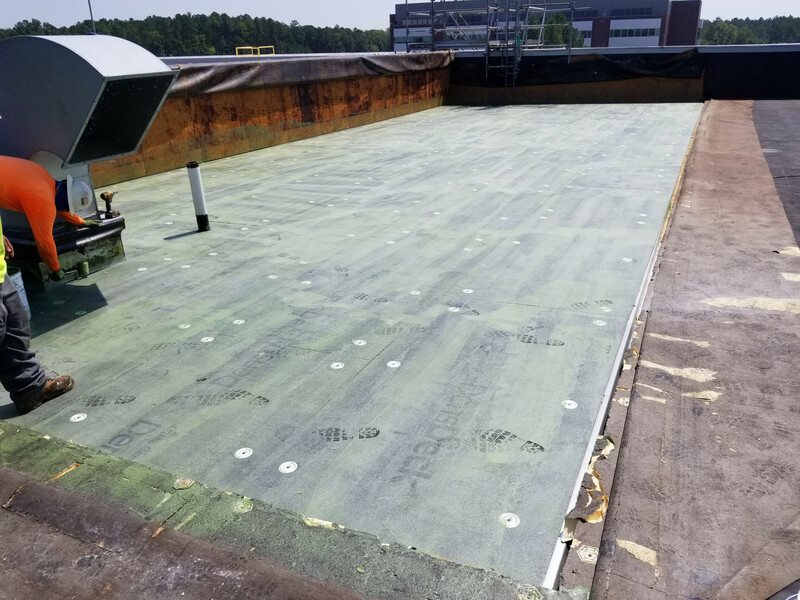 Examine existing deck and perform remediation of damaged deck per contract documents (including allowances contained in contract documents) Flash existing roof drains and paint/replace any deteriorated, broken or non-metallic components. 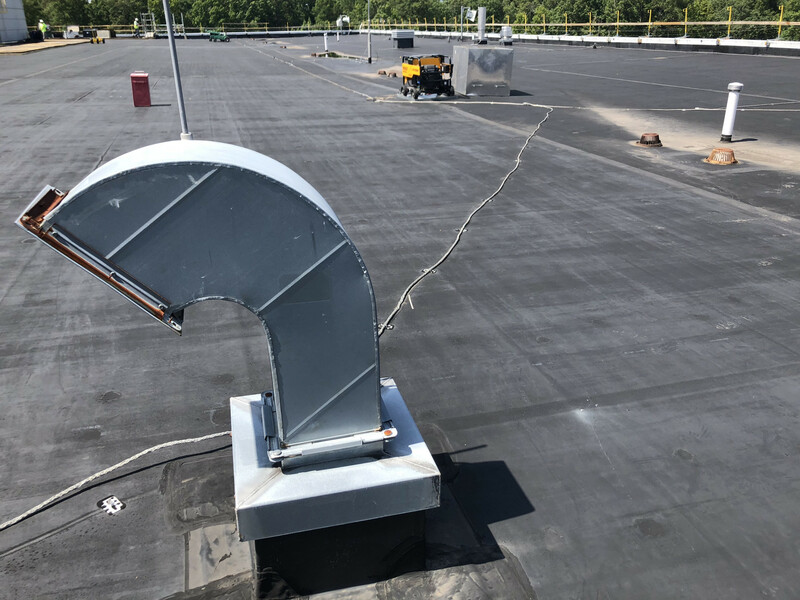 Flash expansion joints per construction documents.Remove and (upon completion of work) reinstall existing lightening protection system (by subcontractor). Flash all penetrations in accordance with contract documents. 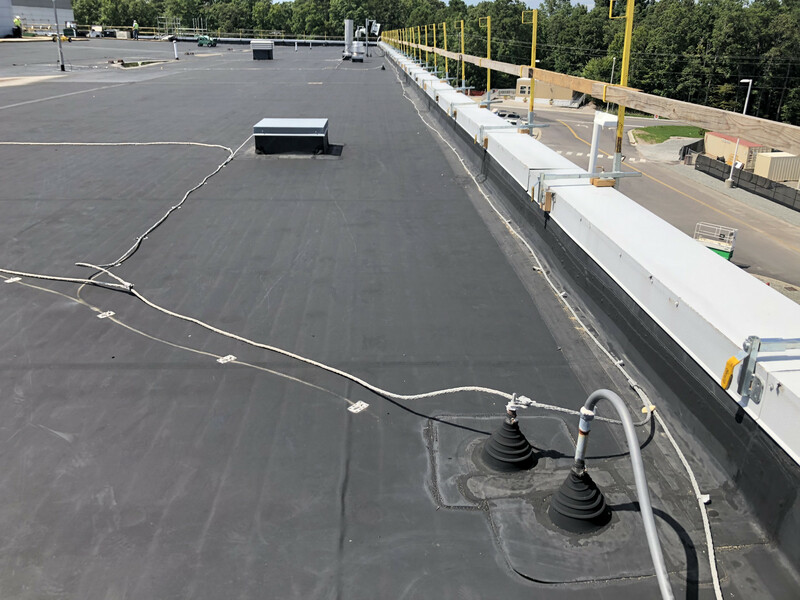 Remove abandoned penetrations noted on drawings and patch roof deck per contract documents. 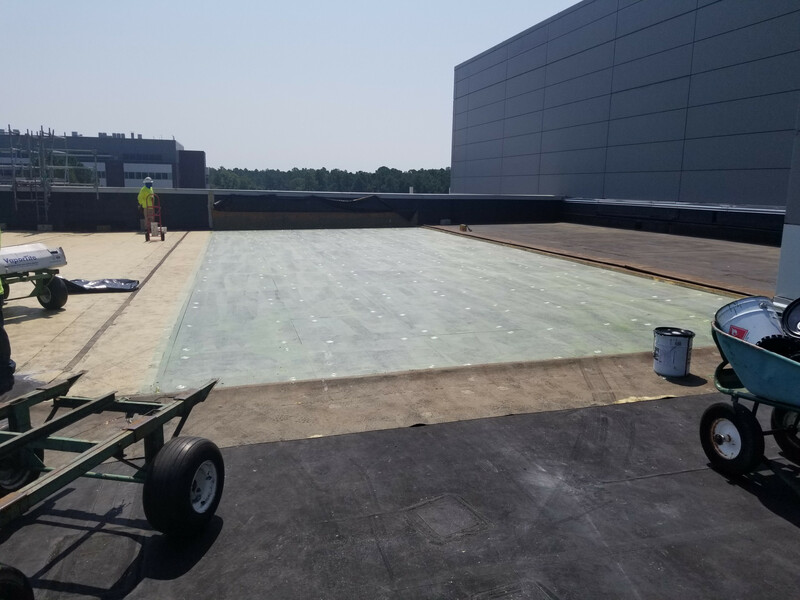 Install 1,000 linear feet of specified walkway. 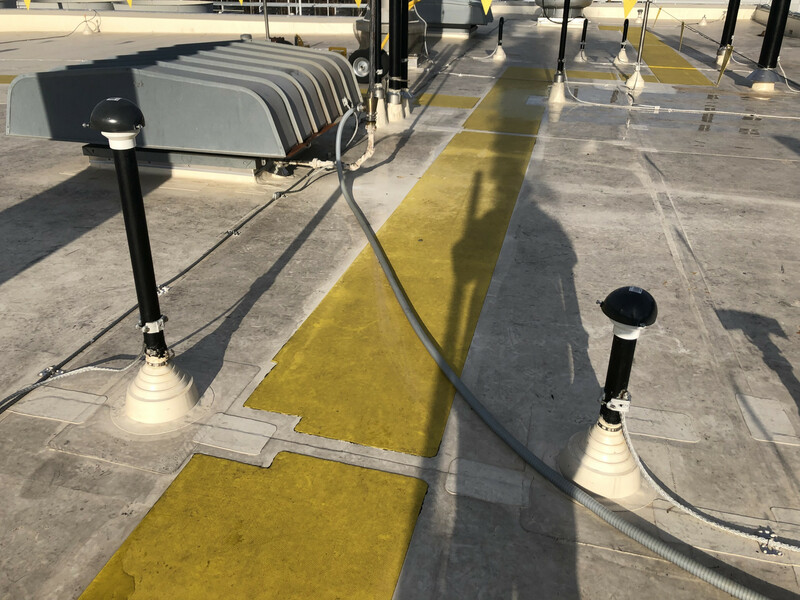 Clean and paint ladders and existing stair platforms. Cut bottom of ladder per specification notes. 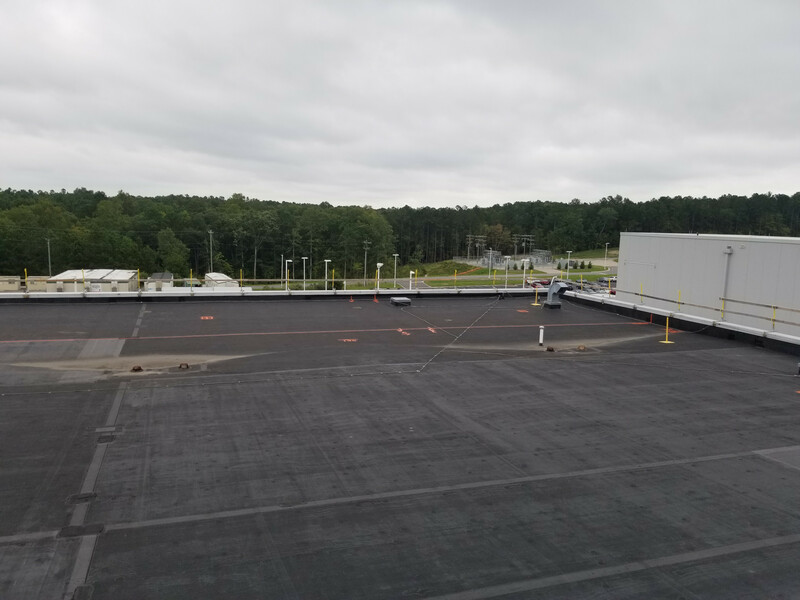 Challenges for this project were working on multiple levels, difficult access points to roof areas and staging, we had to manage subcontractors for the various work that was outside of roofing, and an accelerated schedule.